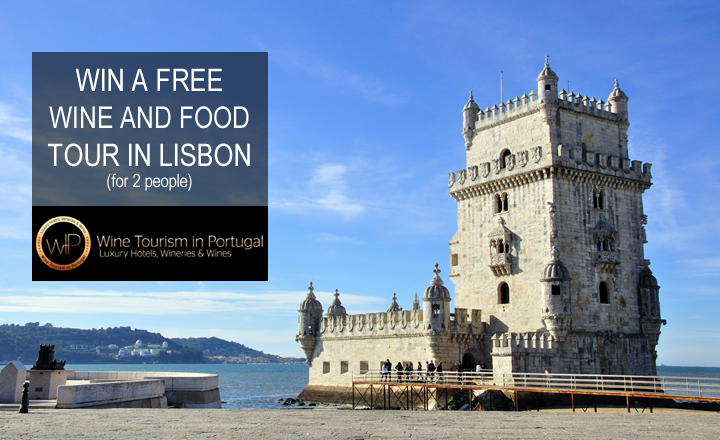 Win a complete wine tasting and a Regional Products Tasting in one of the most famous Wine Bars in Lisbon. Enjoy a wine and food getaway in Lisbon, elected best European City Break, and discover the best flavours of the Portuguese wine and regional products. Comment on our Facebook contest post why you would love to win this contest. This contest starts on 8th December 2015 at 00h00 a.m. and ends at 9th January 2016 at 23h59 p.m. The winner will be chosen randomly. The name of the winner will be published and he or she will be notified by email by 11th January 2016 and the prize can be redeemed by replying to that email in 48 hours. If the winner doesn't intend to enjoy his or her prize, a second winner will be selected. The prize must be enjoyed until 31rd March and is subject to availability of the wine bar and tasting room. The prize does not include accommodation, transportation to and from departure point and other experiences in Portugal but Wine Tourism in Portugal can help you book an itinerary. By accepting the prize the winner agrees to share the most relevant pictures and videos of the hotel and experience as well as relevant comments, testimonials and reviews for Wine Tourism in Portugal promotion in its blog and social media.